Video of This is not a smartphone. This is #HuaweiMate10. Huawei has just announced the Mate 10 and Mate 10 Pro smartphones in Munich, Germany, touting amazing AI features. How much can AI help a camera, and how good can it get? 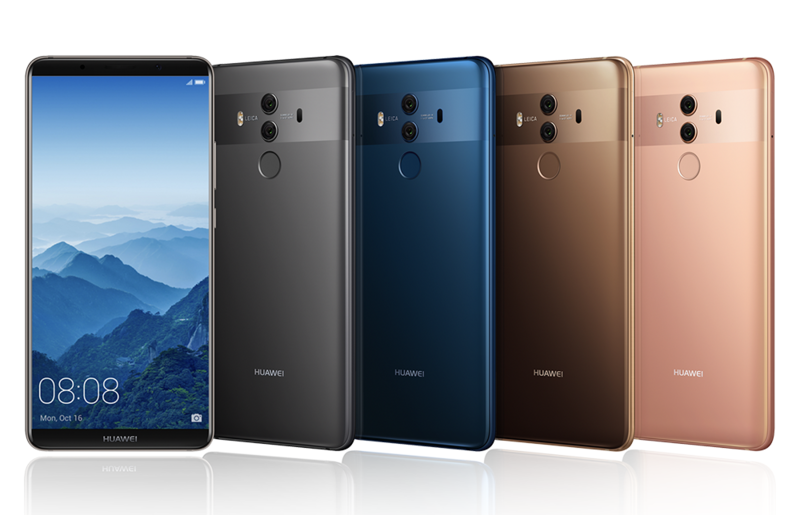 There are three versions of the phone: the Mate 10, Mate 10 Pro, and the Porsche Design version. While the phones don’t look all that different, it’s what’s under the hood that counts here. The Mate 10 Pro is slightly larger and beefier than the Mate 10. Their AI tech, using their new Kirin 970 chip, will allow for a better camera than they’ve offered before. The new chip will perform AI tasks at 25 times the regular speed of a mobile CPU. The rear cameras are both f/1.6. Leica-designed dual f/1.6 cameras, powered by AI. New edge-to-edge HDR display, 18:9 on the Pro and 16:9 on the regular. 30 percent better battery life from 4000 mAh battery; One day for heavy use, close to two days with regular use. Fast charging: 30 minutess for 58 percent. Certifiably won’t have an exploding battery. Running the latest Android 8.0. First 4.5G 1.2 Gbps capable phone, apparently in talks with carriers to support this for data. Better navigation, like keeping track of location under a tunnel. Dual SIM card slots allow for both SIMs to use data at the same time. Built-in LinkedIn integration for your phonebook. 384k/32-bit lossless audio (no headphone jack though). A PC mode, allowing you to plug it into a larger screen and use like a desktop PC. €699 for Mate 10, €799 for Mate 10 Pro, €1395 for the Porsche version. 4 GB of RAM on the Mate 10, 6 GB of RAM on the Pro and Porsche versions. 64 GB of space on the Mate 10, 128 GB on the Mate 10 Pro, 265 GB on the Porsche version. The camera app doesn't skimp on controls. The Mate 10 has two cameras, two image processors, and an AI chip. It’s sporting the world's largest aperture on a smartphone’s camera at f/1.6. Having teamed up with Leica again, this ought to be really great. Looking at the difference in low light, it beats the iPhone 8 Plus without a doubt. 12 megapixels in RGB mode but 10 megapixels in Monochrome mode. Use of AI to enhance photos. What’s insane is that it has learned 100 million images and can precisely recognize an object. From text, to food, stage performances, and more. It’s able to bring more saturation into food to make it more palatable, give a brilliant bokeh to your background, and even zoom using AI (filling in the blanks on text that would otherwise be blurred out). This is all offline, no need for data. We will find out more when we do the full review, but this is looking very promising. The camera app has a ton of pro features. 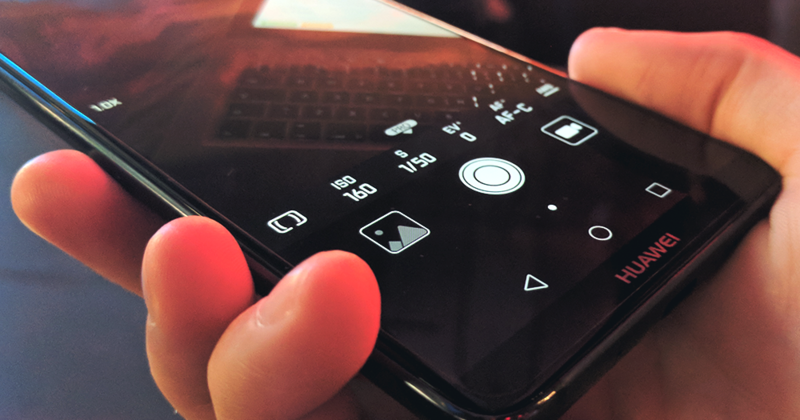 When you switch it into pro mode, you'll get full control over your exposure. It can track objects to keep them in focus, take the picture when a person smiles, and has a slew of modes like light painting and night shots. Funny, they'll even let you put a Leica watermark on every photo, although I'm not sure anybody will really want this. Nice to see that they've gone above and beyond I suppose. It's able to recognize the flowers in front of it, and fine tune the camera accordingly. This comes after Huawei looked to beat Apple and Samsung with their new Kirin 970 chip. Announced at the 2017 Mobile World Congress in Shanghai, the chip is clearly aimed at Apple’s “Neural Engine.” It will be taking care of the AI features. 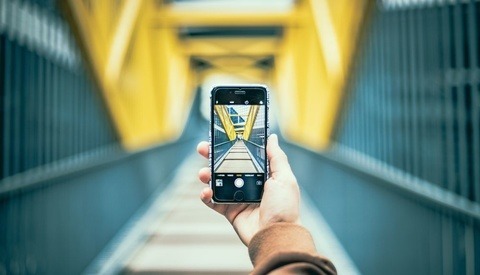 Apparently this will not only aid in augmented reality, and the precise image recognition, but we’ll be able to see sharper photos processed in less time. Beyond imaging, we’re looking at 50 percent better battery life. This clearly leaves Samsung in the dust. Even though they’re the number one smartphone manufacturer in the world, their number two and three both have AI capable chips. Supposedly we’ll be seeing an offering from them in 2018, but Samsung fans will be missing out on the AI fun this holiday season. For now they’re relying on Qualcomm’s chips. Huawei are claiming that their phone can recognize a set of photos in just five seconds, beating the iPhone X at 9 seconds, and the Samsung Note 8 at 100 seconds. Another cool feature is that the AI chip can hear you better. You won’t need to shout “OK Google,” but instead just say it regularly. The phone will recognize your voice over other people's, and whispering is enough too. On the note of speech, it will be able to translate speech insanely fast and even do image translations offline. Plug into a larger monitor, and it becomes a PC. 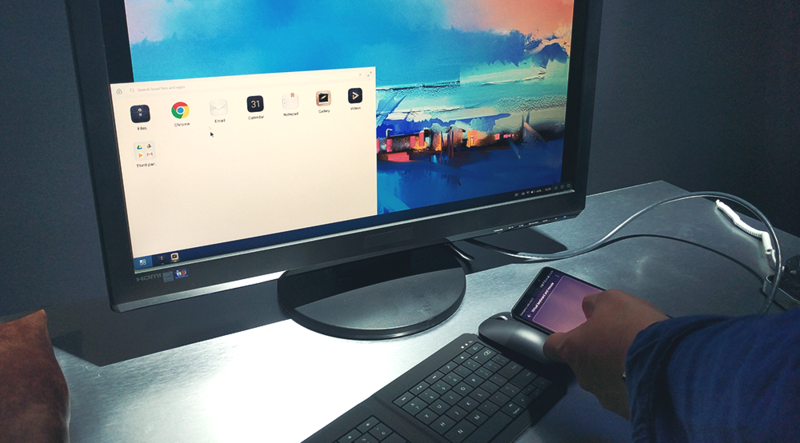 During the event they plugged the Mate 10 Pro into a regular desktop display and switched the phone into Desktop mode. Sure enough, it’s pretty much exactly the same as a Chromebook experience that Google is offering (on a laptop). Both screens will work without a hitch, and it means that you could have a Bluetooth keyboard/mouse setup or even use the phone’s keyboard. If you’re showing off a presentation and your phone rings, it’ll only ring on your phone. 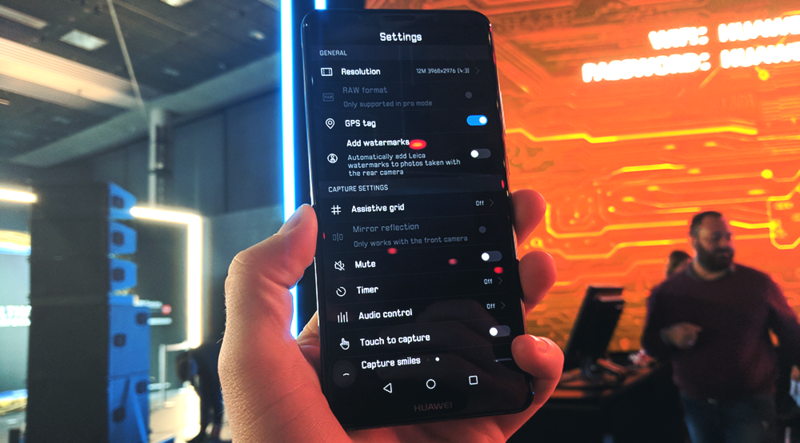 It will also allow for video content to be displayed on a larger screen; nothing crazy here but worth noting that it’s HDR. An optional accessory: USB-C connected 360-degree camera. Google’s new Pixel lineup is only touting a single camera on the rear of the phone. Both Apple and Samsung are only have dual camera offerings on their larger phones. As such, it’s safe to assume that having two cameras is not the top priority for other brands. Nonetheless, Huawei are doubling down here. Not only do they seem to have the level of software tech that Google has, but they're not messing about with their dual camera setup either. Supposedly the Mate 10 lineup will last longer than the competition too. 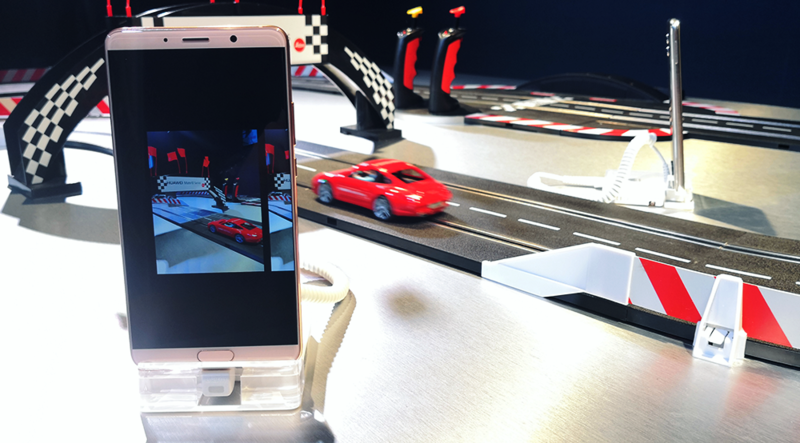 When Huawei tested it against the competition they found that Samsung Galaxy S7’s performance dropped 195 percent over 18 months, while the Mate 10 only saw a 10 percent drop. Take that with a grain of salt of course, since it’s hardly independent testing. “How can we know the long term performance of a phone without even using it?” they asked. They’ve been automatically simulating how a user would engage with the phone, using a “User Model.” This is separate to their new safety certifications. There's a lot to digest when you open up the camera. I love the feeling of it in my hands. 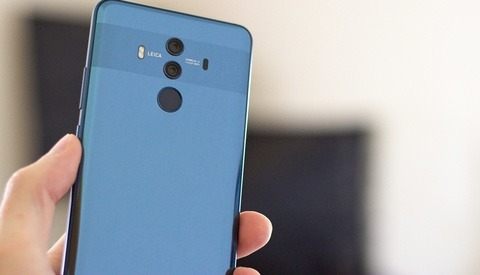 Sure, it's a symptom of bezel-less phones these days but having the fingerprint sensor on the back is something I've grown to love on other phones. While I've never had a chance to try the Face ID system on the iPhone X, but if you're apprehensive about it then you'll fall on love the best of both worlds solutions that have been emerging in the Android space recently. The camera looks great and there's an insane amount of features available. At the same time though, I would feel comfortable leaving it up to the built-in AI image processing more often than not. If it's a quick snap in the middle of something, there's no need to go diving into the settings unnecessarily. I love that you can manually focus and change the aperture, even in the video mode. Although I can't say I'm a fan of the crop factor when shooting video; It's a pretty big difference unfortunately. The available colors of the Mate 10 Pro. Unfortunately it doesn't have a headphone jack built in, meaning you'll need a dongle (included). It's also not stock Android as Google intended. For example, its app drawer is more like iOS than Android. Nonetheless it still has Google's Assistant and the regular trimmings you'd expect. What do you think? How far will AI photos go, and will professional photographers ever engage with the tech? 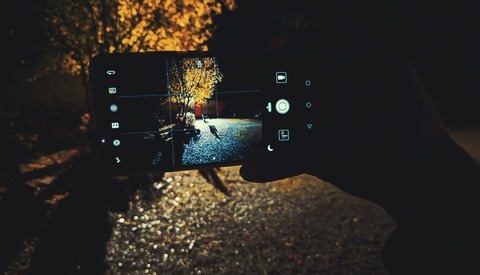 Is it just a fad or will camera settings not make that much of a difference?